This website features a MainStreet inventory page, as well as MainStreet modules at the bottom of each page and on the testimonials page. MainStreet is flexible enough to power the testimonials page, jobs page, and inventory page. 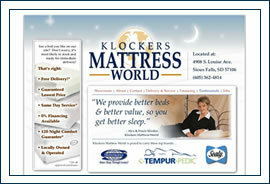 A key requirement for this website was multiple prices for individual inventory items, due to different bed sizes. Love My Rental is a Sioux Falls based property management firm that rents apartments, houses, and duplexes for a variety of owners. MainStreet powers the search engine on this website. We integrated Google Maps listings, as well as a number of custom fields. SmartChoice, a regional hearing aid dispenser. 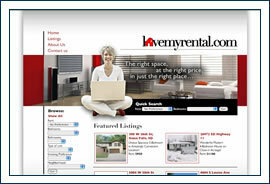 This website is powered by MainStreet, and is tied into their ad campaign. 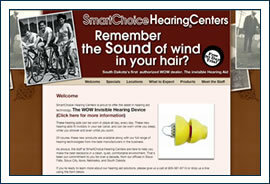 Altus was hired to develop the graphic identity for SmartChoice (formerly affiliated with a national hearing aid brand), including this website. 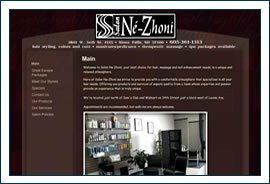 Salon Ne-Zhoni offers spa and salon services in southwest Sioux Falls. Their website sends out updates to subscribers, text messages to clients with appointments, and is powered by MainStreet. An additional MainStreet module provides an inventory of products available for clients to order and pick up after their next hair cut.